My son has been attending Mulberry House for the past 6 months and he absolutely loves it. The thing that sets MH apart from other Chinese playgroups is the quality of the teachers. Xia Laoshi and Zhu Laoshi are incredibly enthusiastic, engaging and loving teachers. They do everything to keep the children engaged. They show a genuine passion for teaching and it is infectious. My 14-month old has learnt so much from MH, not just Chinese words, but other playgroup 'soft skills'. I have seen children with absolutely no Chinese background speak fluent Mandarin as a result of the classes they have taken at MH. I also love that MH makes their own teaching materials so everything is hand-crafted and sensory-focused. There is little to no use of plastic toys (not that that's bad). There is also a strong emphasis on music which my son just loves and it helps with his language acquisition. I can't rave enough about MH and I hope to keep sending my son there for as long as I'm in HK. If you are looking to encourage your children to learn Mandarin without imposing rigid and mentally restrictive methods, look no further! Mulberry House engages each child individually, taps into his/her curiosity and encourages creativity in a safe and fun Mandarin-speaking environment. The teachers are committed and extremely caring - they invest great effort to connect with each child, and structure lessons, demonstrations, and songs in such a fashion that children respond, ask questions, and learn all in Mandarin (even when their native language is something other than Mandarin). My 3-year old son has been going to core foundation and creative arts and science classes for nearly a year and he absolutely LOVES it. He started off with minimal to no Mandarin-speaking ability, and today is already recognising Chinese characters (and pointing at signs all over Hong Kong telling his mama what each character means!) and comfortably conversing in Mandarin as well. It is amazing that despite living in a 95% English-speaking household, he completely (and voluntarily) speaks in only Mandarin as soon as he arrives at Mulberry House and is so excited to share about what he has learned. My 21-month old has been attending playgroup at Mulberry House for about seven months and I love how she will sing and dance to songs in Mandarin at her own initiative and she even ASKS to "read" the Mandarin dictionary! 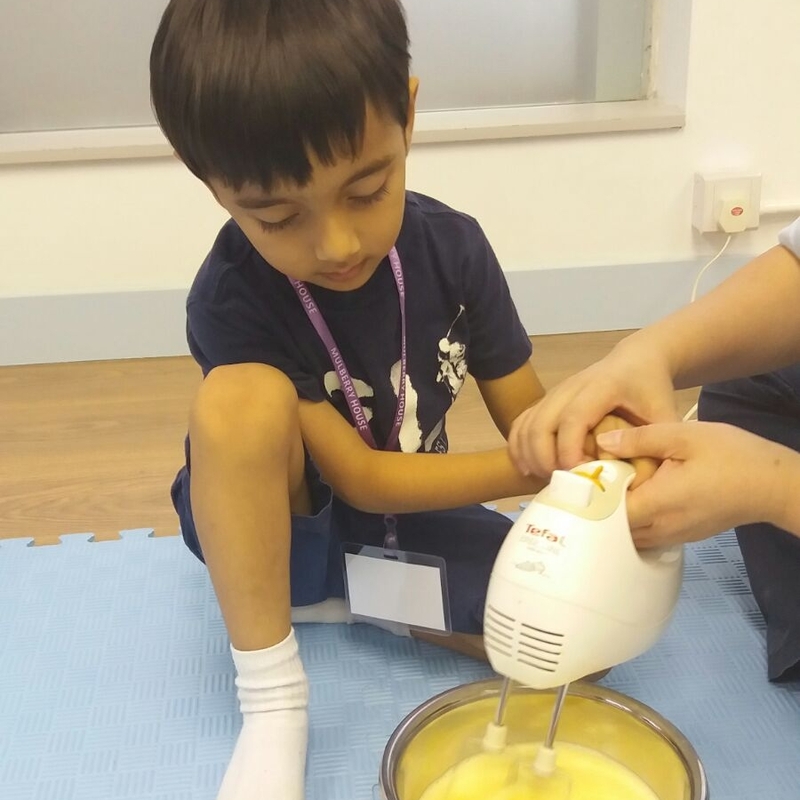 Thank you, Mulberry House, for creating a stimulating and exciting learning environment where children who have minimal Mandarin support at home are transformed into fluent little speakers, who LOVE learning Mandarin with each new day. I started my search a couple of months ago as I knew I couldn't rely on myself to speak only mandarin to him! But because I am fluent myself, I am probably more picky w the options out there...My son is 2 and normally goes to woodland but they do not offer mandarin over the summer...Kidsland has a good play based class, but it does not have a curriculum so I didn't want him doing the same thing over and over again. Then I found Mulberry House on Caine Road. They offer 90 min classes Monday - Friday and changes the curriculum weekly. We've only done the first week but I can highly recommend it! 3 teachers with 4 kids in class, and not relying on toys but props the teachers make themselves to keep the kids entertained. My son can never sit through a story at home but he is fully engaged when the teachers tell the stories! The teachers are super patient, I feel like I'm learning how to better deal with my son too! And kids can be unaccompanied at this age (which would have been a relief for me w another one at home but unfortunately my son is not ready for that yet... I'm hoping by the end of summer he will be!). Very excited that we have five more weeks of fun ahead! Luc loves his classes so much and they have truly helped him develop and grow. Your team have such an amazing energy and Luc has been fascinated by this. When I have not had much idea of what’s going on in classes, he absorbs it all and understands it. On my first visit I was sold by the fact that you recycle everyday materials (boxes, pots etc) to make your own toys and activities, something that I do at home. It is so refreshing to see this in an educational context and really imaginative. Your school is a beautiful environment for children to learn in. The concert on Saturday was brilliant! It was so funny to see all the little ones perform, I don’t know of any other places that include the very youngest in their events so it was great that Luc had a chance to take part!!! I wanted to say that Mulberry House is really a great place for learning. Both my kids love it. Noah likes it so much he doesn't want to start his regular school! Thank you again. We will definitely continue coming back and recommending to our friends. My 8 month old daughter Mia loves going to the Mandarin playgroup at Mulberry House. The learning environment is simply beautiful - open, bright and impeccably clean. Classes are small and their teachers are fab! This is something that is constantly on our mind as we try to raise our daughter tri-lingual in a non native Mandarin family: “The most important thing is for children to learn without knowing they are learning”. My daughter breaks out into mandarin songs or speaks to herself in mandarin after fun packed playgroup classes at Mulberry House. I’m so happy! Thank you and we love Mulberry House! Our 21 month year old twins have been going to Mulberry House since they were 14 months old and love it! The teachers are amazing, really energetic and encouraging and our boys love learning through songs, play and stories. They often sing the songs they learn at home and are using the Mandarin words for colours, numbers, please/thank you etc as their speech develops. I also love going along to the class with them and learning more Mandarin. We would definitely recommend Mulberry House to others. I sincerely appreciate the quality of classes you have planned and delivered for the children. It has been most enjoyable and educational in the last month that we've started class. My four children attended Mulberry House for three weeks on a daily basis while visiting from New York. My 2 year old twin girls especially benefitted from the class as they would come home singing songs that they learned. They love to count to ten and really seemed to enjoy the class. All the children improved on their mandarin. The teachers are dedicated and professional with lots of enthusiasm. The team also were so great to accommodate my scheduling issues by offering make up sessions. Thank you for truly providing a rich and fun learning environment for my children. We will definitely return next summer if we are back in Hong Kong. My one year old daughter did a trial the other day and she absolutely loved the lesson and the teacher! Mulberry House is unique. I was a bit sad to find out that most mandarin schools in HK are rote learning based and won't accept children until they are older because they focus on reading and writing. 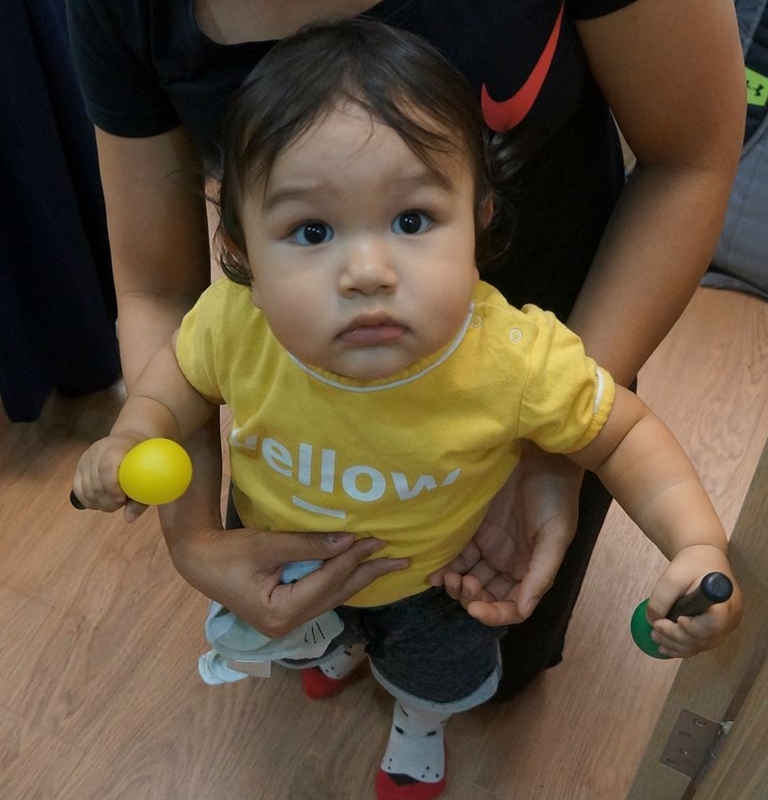 Whereas Mulberry house's approach starts at a much younger age, learning through play and interaction, teaching babies and young children about themselves and the world around us, using Mandarin as the only medium, hence like learning a first language. The teacher is super creative and interactive with babies using their home made props. Oh yes, I can't forget to mention this- this school is beautiful. I really like Mulberry House. When I went for a trial class, I was really impressed at the way all the teaching was done, how the teacher managed to keep their attention for 1.5 hours and how beautifully all the teaching material was hand crafted. About 15 minutes in, I heard my son interact in mandarin with the teachers. Best of all, when I asked how was class, he said he wanted to go back. He is loving his classes there now. 如果不是在 Mulberry House “桐華教育” 學習普通話，我永遠不能想像我的兒子能這樣融入及享受在全方位普通話的世界。他們透過教授最正宗的普通話拼音，不同種類的圖書閱讀及遊戲讓我的兒子非常享受學習過程。他們採用生動有創意的互動教學模式，燃點起我的兒子對學習普通話的興趣。他現在很自然地便會用普通話和唱歌及說出很多單字。真的感謝 “桐華教育” 讓我兒子喜歡學習普通話!